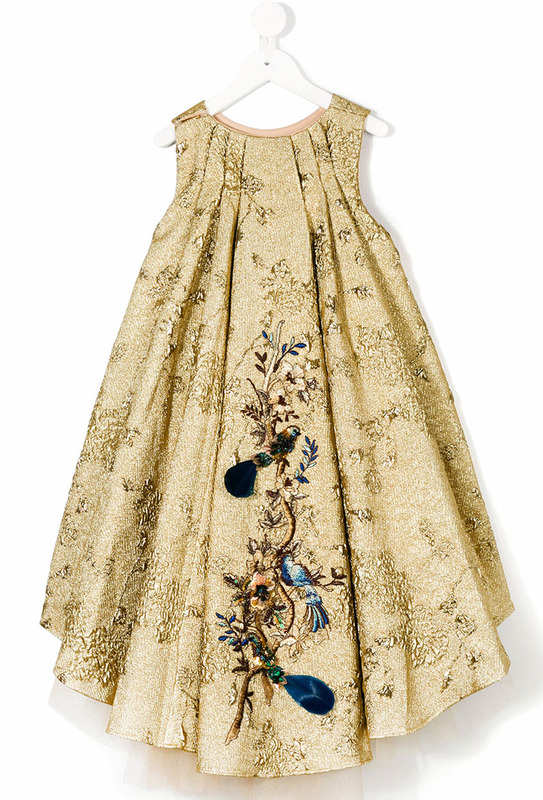 Your little girl will be the centre of attention as the light hits gold-tone embroidered bird pleated gown when she twists and twirls in this. 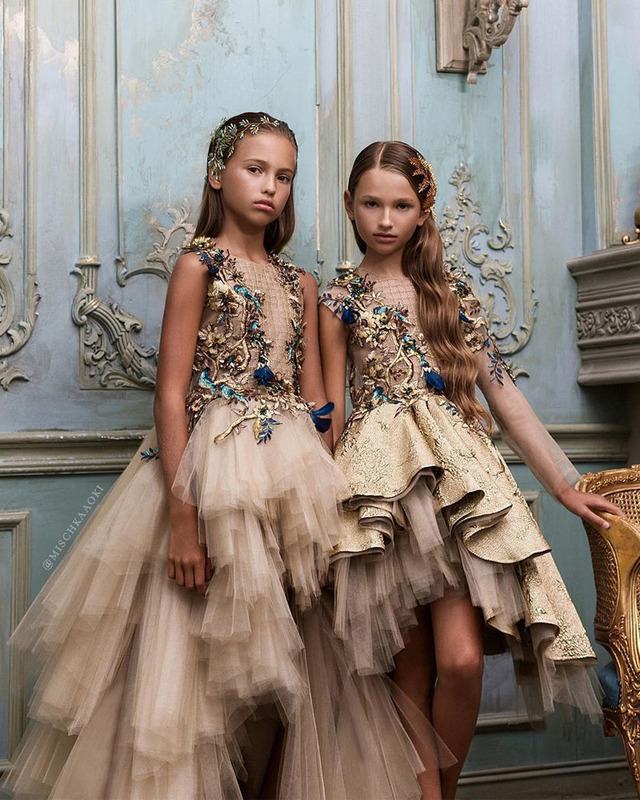 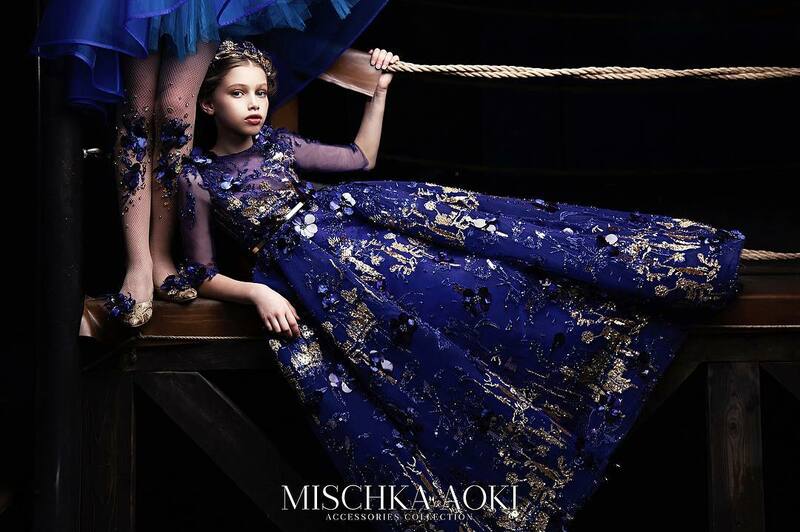 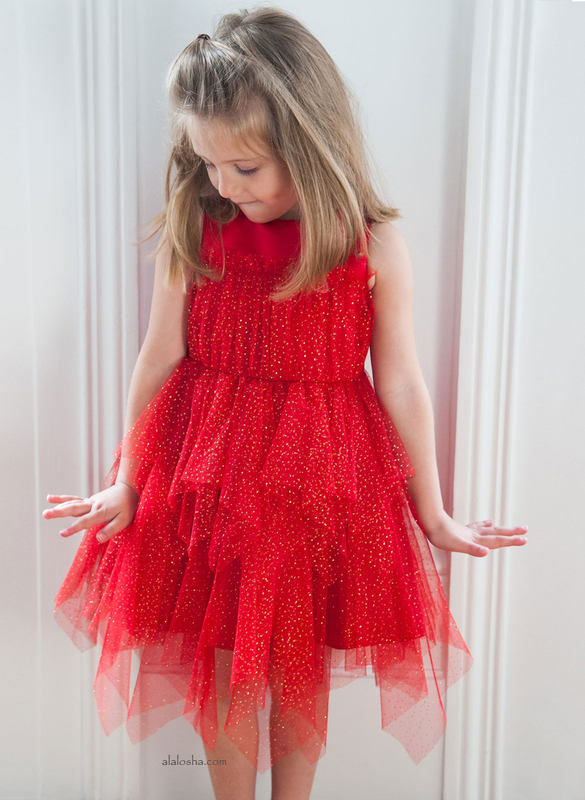 Look to this childrenswear designer for opulent couture designs that will make your child feel like a princess. 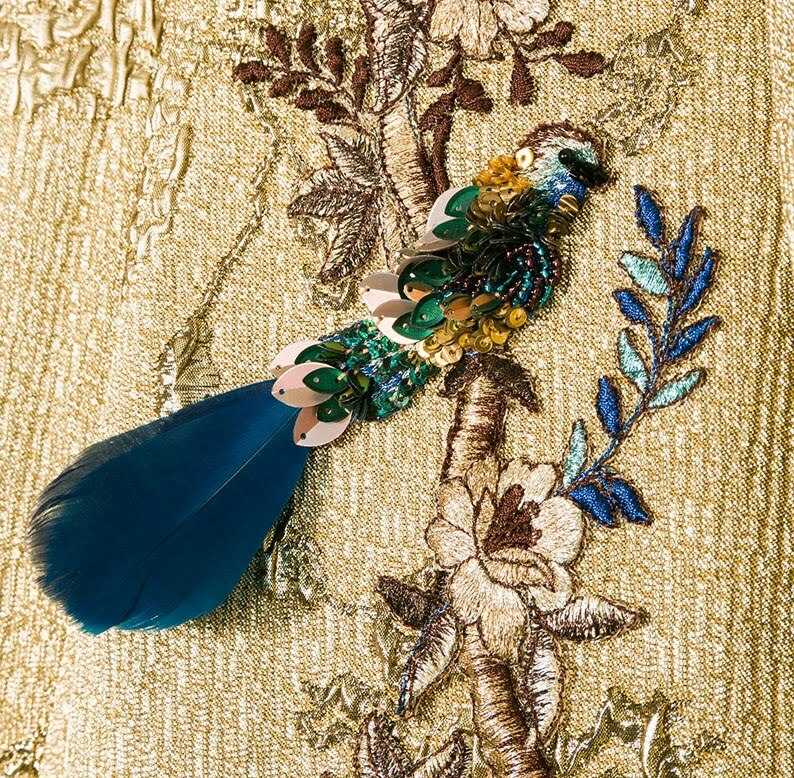 Gold-tone embroidered bird pleated dress from Mischka Aoki. 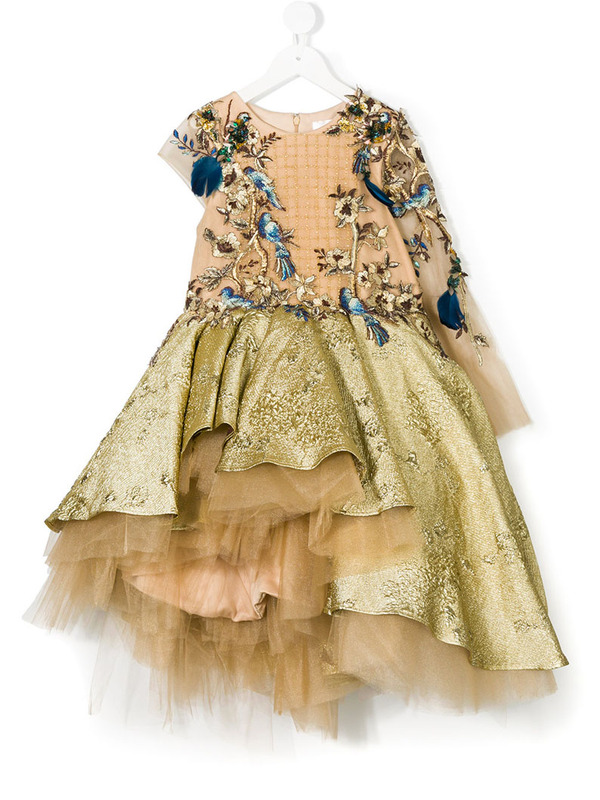 Gold-tone and light tan asymmetrical bird embellished full-skirt dress from Mischka Aoki.